Artist and journalist Zehra Doğan. Zehra Doğan, a Turkish painter and reporter for the now-closed Dicle news agency, has been given a prison sentence of two years, nine months, 22 days for painting the destruction caused by operations carried out in the Nusaybin district of Mardin province by Turkish security forces against the Kurdistan Workers’ Party (PKK). 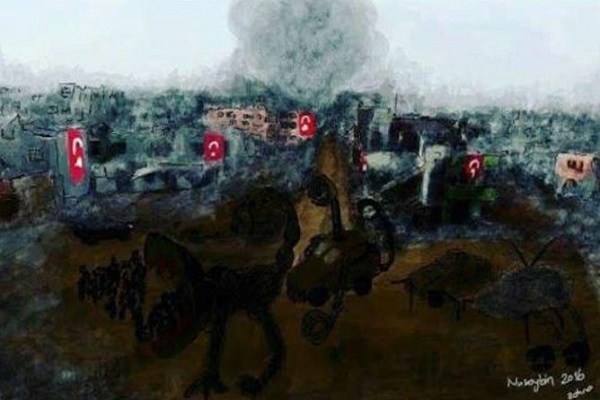 “I was given two years and 10 months [jail time] only because I painted Turkish flags on destroyed buildings. However, they [Turkish government] caused this. I only painted it,” Doğan said in a tweet she posted on Monday. 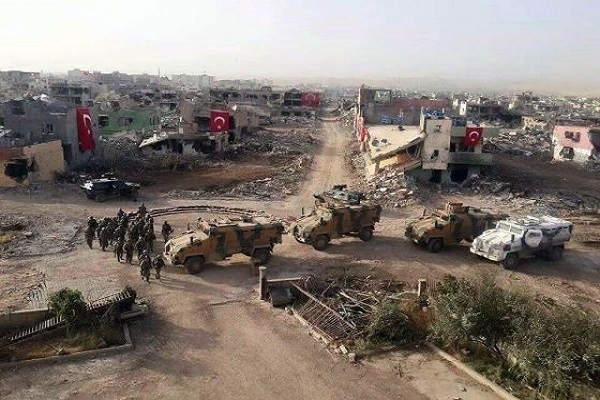 According to the Cumhuriyet daily, the Mardin 2nd High Criminal Court handed down the sentence to Cemal on the grounds that she drew Turkish flags on buildings destroyed by Turkish forces. However, Doğan said in her defense that she made the paintings and posted them on social media without any political comments.